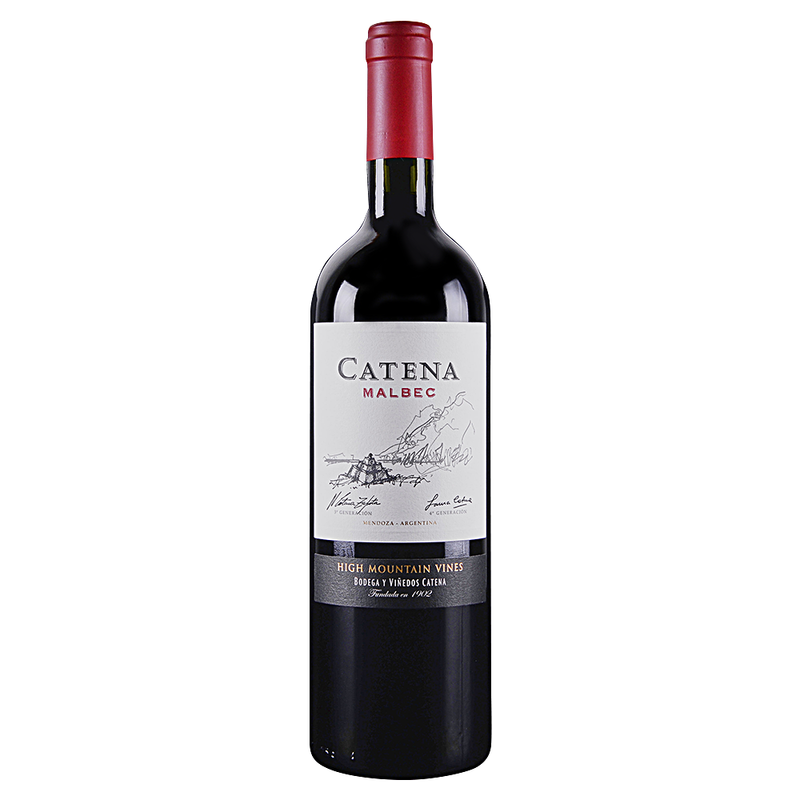 The Catena Malbec presents a deep violet color with purple reflections. This microclimate blend of four unique vineyards offers intense aroma, soft texture and concentrated flavor. Deep aromas of ripe red and dark fruits are joined by delicate violet and lavender notes, with traces of vanilla and mocha. A rich, concentrated mouthfeel is highlighted by flavors of blueberries and blackberries with a touch of leather and cinnamon. The wine has well-integrated tannins, bright acidity and a flinty minerality that provides exceptional length to the finish.